The rose colored facade and glowing neon of the exterior of the Flamingo Las Vegas makes this one of the most colorful hotels on the Strip. One of the hottest nightclubs around is also in this hotel, making it a center for nightlife on the Las Vegas Strip. Visit the wildlife habitat for a quieter scene, and enjoy a walk down through the paths and bridges. 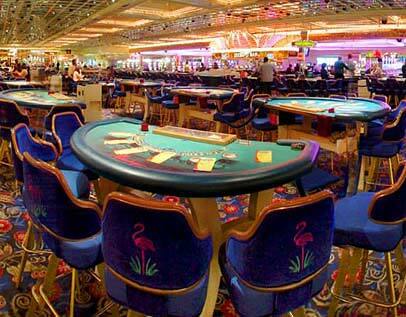 For more exciting entertainments, be sure to drop into the casino or visit one of the lounges.